Wera Phillips Extra Tough Driver Bit Features Designed for tough applications found in bo..
Wera BiTorsion Extra Tough Pozidrive PZ2 Bits Features Standard 1/4in hexagon drive. 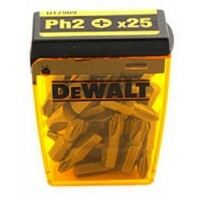 ..
DeWalt DT7909 PH2 Driver Bits Features 25 bits per pack. 25mm long Head PH2. 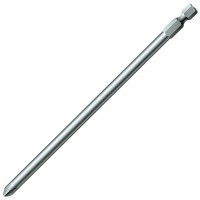 ..
Silverline 675267 Collated Driver Screwdriver Features Length 126mm / 5in. Designed..
Silverline 186808 Diamond Phillips Driver Bits Features 10 pack of diamond screw driver b..
Head phillips PH3. Length 25mm. 100 bits per pack. 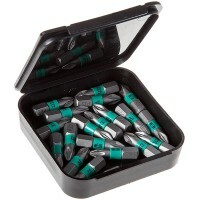 Steel screwdriver bits w..
Silverline 436747 Titanium Phillips Driver Bits Features Pack of 10. 1/4in drive ti..
DeWalt DT7913 Screwdriver Drill Driver Bit Box Features 15 bits per pack. 50mm long..
Head phillips PH1. Length 25mm. 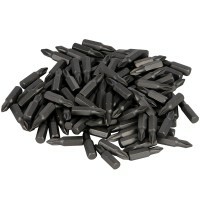 100 bits per pack. 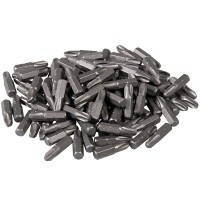 Steel screwdriver bits w..
Silverline 934108 Titanium Phillips Driver Bits Features Pack of 10. 1/4in drive ti..
Head phillips PH2. Length 25mm. 100 bits per pack. 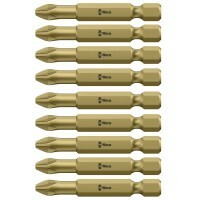 Steel screwdriver bits w..
Silverline 292704 Titanium Phillips Driver Bits Features Pack of 10. 1/4in drive ti..
Wera Pozidrive Pz2 Torsion Driver Bit Features 1/4in Hexagon drive. Pozidrive PZ2. 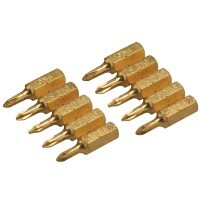 ..
Silverline 123465 Diamond Phillips Driver Bits Features 10 pack of diamond screw driver b..